With Google I/O come and gone, it’s clear Android O isn’t going to be the most dramatic software update ever, but there’s still plenty to look forward to. Now in its second developer preview, Android O brings a number of performance improvements and new features. While many of these may just be small tweaks, collectively, they’ll make Android a lot more pleasant to use on the whole. We’ll keep this post updated as new features are discovered and announced in versions of Android to come. 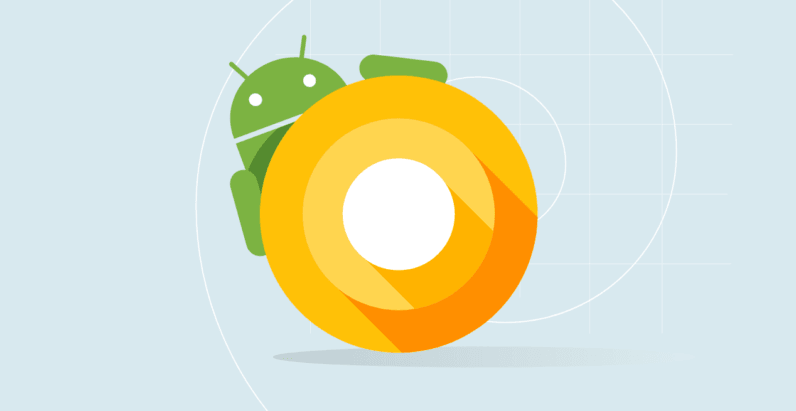 If you have a recent Nexus or Pixel device, you can try out Android O for yourself by signing up for the beta program. The usual caveat applies: this is beta software that could very well crash more often and be slower than a stable build. Install at your own risk. Android is getting proper support for picture-in-picture video – essentially a floating video window that will help make sure you never get any work done. Though some manufacturers like Samsung have already added this feature, the feature is normally limited to just a few apps. Official Google support means much wider compatibility to come – and hopefully less performance overhead as well. You can Snooze notifications and have them appear at a later time so you can focus on the task at hand without forgetting whatever you’re getting notified about. Notification channels allow developers to essentially have different notification categories within their apps. For example, in a news app, users could choose to only receive notifications on specific topics. Users can also modify properties such as alert tones, priority and whether notifications show up on your lock screen for each notification channel. Developers can set background colors to help differentiate their notifications from the crowd. Notification badges/dots are exactly what they sound like, a little badge telling you there are unread notifications in a particular app. Unlike iOS, however, Android O doesn’t tell you how many unread notifications you have – only that you have them. Instead, you can long-press on an app icon to view your unread notifications. Thankfully, you can also turn off the feature altogether if, like me, you find notification badges to be more distraction than they’re worth. Messaging notifications can now show more text before you need to enter an app. Android Go is Google’s new Android fork that promises smoother performance and lower data usage on affordable devices, particularly in developing nations. It’s basically a lighter version of Android O with several optimizations to the kernel and Google’s native Android apps. It also emphasizes power-optimized apps in the Play Store. Android Go will be the default OS for any device with 1GB of RAM or less, though it’s possible we’ll see it appear on devices with more memory in the future. Google is claiming much faster boot times. The Google Pixel, specifically, can boot twice as fast in O over Nougat. New Background execution limits mean Google is cracking down on apps that abuse their ability to run in the background. Before you worry that Android is becoming iOS, Google is providing alternate means for developers to run background tasks with less performance overhead. This should help improve battery life too. Android O is introducing a dramatic overhaul to Emoji – for better or for worse. Gone are the iconic gumdrop blobs, replaced by quasi-circular emoji that are closer to the graphics used by other platforms. If you ask me, that makes Android lose some of its charm, but at least it will help avoid the confusion caused by some Google emoji looking completely different to the ones on other devices. The redesign also includes all-new emoji – including a bearded person, hijab-clad woman, breastfeeding, dinosaurs, and more – as part of the upcoming release of Emoji 5.0 (part of Unicode 10). You can view the full list of Emoji on Emojipedia. You’d think copy and paste is a simple enough feature that it doesn’t need updating, but Google’s found a way to improve it with machine learning. Basically, Android O will be clever enough to recognize exactly what you might want to copy and paste with a touch. The company has noticed that most of what people copy and paste are things like business names and addresses, so rather than clumsily selecting tiny text with a couple of cursor knobs, Android’s AI will automatically select what it thinks you’re trying to get at. Of course, you can always modify your selection later, but it should make things go a bit faster. Moreover, Android is smart enough to recognize what kind of selection it is. If you’re copying an address, a floating toolbar will suggest a shortcut to paste the location directly into Google maps. Using autofill on the Web is second nature to save some time inputting things like credit card numbers and addresses, but that doesn’t help you if you need to input this within an app. Android O introduces an Autofill Framework that should solve this issue. It also seems users can set specific apps to manage how forms are filled. The two layers also allow for sleeker animation effects, like a pulse, bounce, or parallax. Google announced native support for the Kotlin programming language at I/O, and developers rejoiced. It’s a relatively young language that is meant to deal with some of Java’s annoyances. Several apps have been using Kotlin code in a patchwork of sorts, but this is the first time you can natively develop Android apps from start to finish with Kotlin. That should hopefully result in more stable code, faster fixes, and a lower threshold for new developers as Kotlin surely moves towards becoming the dominant language for Android in the years to come. One of the more subtle reasons macOS and iOS have been so popular with visual artists is that Apple takes color management seriously. Android O brings proper support for wide-gamut displays and media thanks to native support for color profiles like AdobeRGB, DCI-P3 and more. This should also help colors remain a bit more consistent across devices, and allow Android to finally take full advantage of the many wonderful displays out there. Android TV has pretty much looked the same since it first launched, but in O it’s been significantly redesigned to make it easier to get to the content you want to watch. The idea is that you have different ‘channels’ represented as rows in the launcher. By default there is a row for launching your various apps, and an AI-powered ‘Watch Next’ row that picks out specific shows and videos you might want to watch. Beyond that, apps can create individual channels within the homescreen featuring specific content, with the user’s permission. All this means you should be able to get you your shows more quickly, without having to enter and search within individual apps. Wi-Fi Aware allows devices to easily communicate without an internet connection or even being connected to the same access point/router. Nor would you have to turn on Wi-Fi manually. It literally means your device is aware of other nearby devices, somewhat like StreetPass on the Nintendo 3DS. It could make local multiplayer a lot easier to set up on Android, as you wouldn’t have to go through complicated pairing procedures or laggy internet connections. That being said, Wi-Fi Aware needs special hardware support, which Google says it’s working with manufacturers to establish. Any major features we missed? Let us know in the comments!